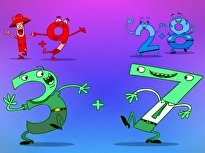 Your child probably knows that two plus two equals four. But what does it take to get to seventeen? 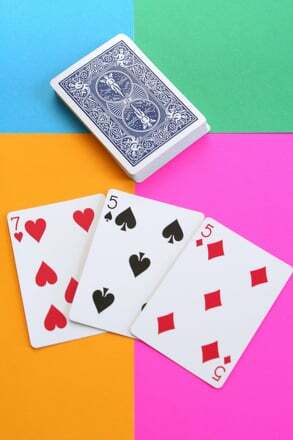 Try this card game to explore all the possibilities, build maths fact skills, and have a great time while you’re at it. Prepare your materials. Start with your deck of cards. 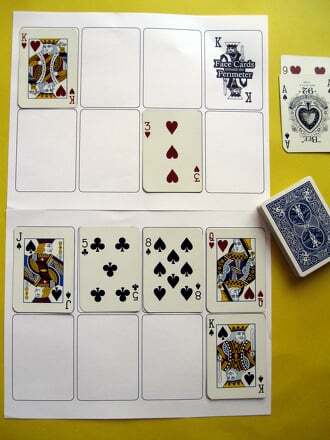 You will need all aces (each counts as “1’), and all numbered cards between 2 and 8. Make sure you pull out all nines, tens, jacks, queens, and kings. You can save them for more advanced games later. While this game can be played by up to four players, you’ll probably want to start with just two. Shuffle your number cards and put them face down on a table. Then have each player pull out five cards. Take turns putting cards down, one at a time, and counting the total made when you add the pile together. “Winning” and “Losing”: The goal is to get as close to 17 as possible. 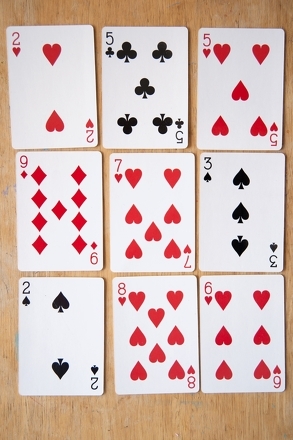 Let’s say, for example, that Player 1 puts down a “7” card, and then Player 2 puts down a “5” card. 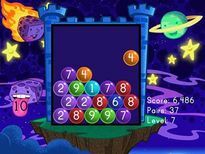 If Player 1 can add another “5,” she wins the round and gets a score of 17! That’s the clean way to win a round. But she can also win if she goes slightly over—say, to 19—but she must subtract the extra “2” from her score, so she only gets 15 points. 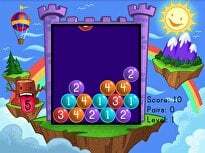 The goal of the game (aside from complete maths Facts Mastery, of course! 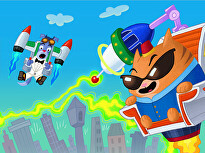 ), is to have the largest number of points when the game is done. 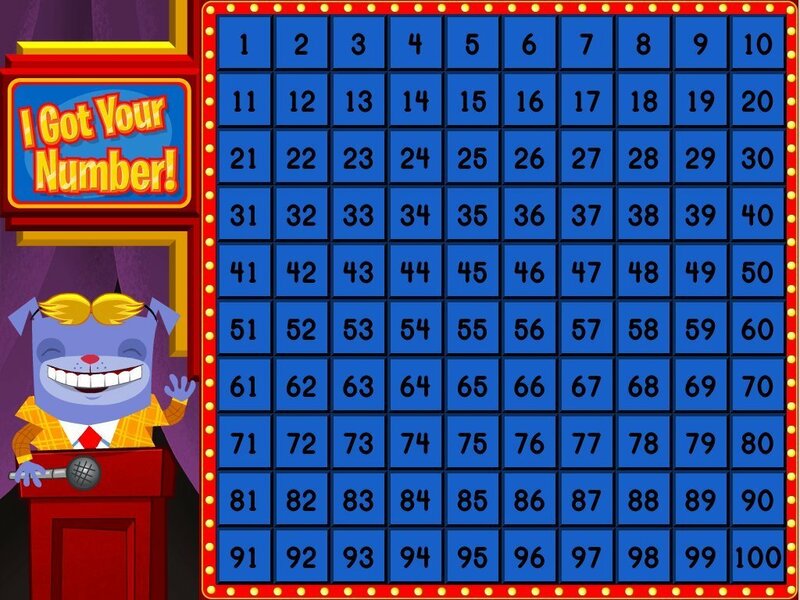 Special note: Counting up the final scores usually means adding several digits. 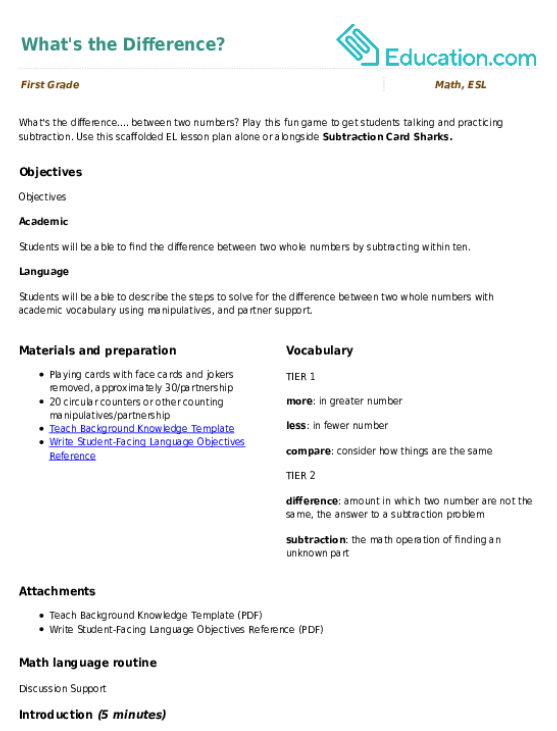 This may be a good stretch for some kids, but lots of first graders will find it hard. It’s helpful to have either a calculator, or a parent helper, or both ready. 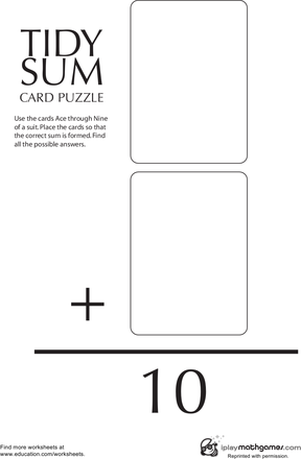 Make making ten a game with this extra-easy addition card game that comes with all the supplies you need. 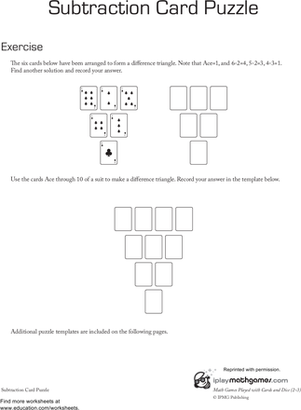 Practise finding sums of ten with your first grader using a deck of playing cards and this maths worksheet. 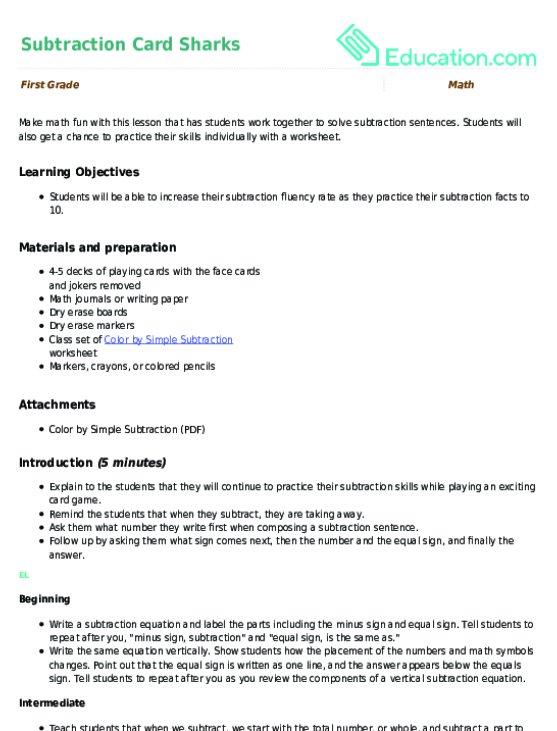 Students will also get a chance to practise their skills individually with a worksheet. Looking for a fun way to engage students in addition practise? Kids will practise hunting down fact families with this fact family game. Their recognition skills will be tested as they track down number sentences. 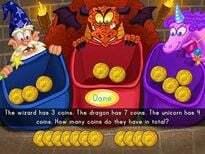 A board game called maths-Go-Round, made to help improve 1st-graders' subtraction skills. 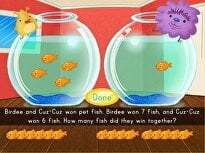 Go fishing for maths facts with a fun game! 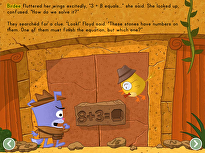 Your first grader will practise solving simple addition and subtraction problems.